LL.M. Ranking Home - Find Your LL.M. Browse world university rankings and find your LL.M.! Rankings are designed to help you find the LL.M. that is right for you and compare universities and their LL.M. programmes around the world! The rankings are established on the basis of different criteria: course and teaching satisfaction, student to staff ratio, student spending, career after 6 months…etc. Rankings are only one of the many criteria students should consider when choosing a university/LL.M. program. Most of the rankings are based on Law schools, students should be aware that the quality of an LL.M. program may vary from the overall Law School quality. Make sure you understand what criteria are used to rank these universities. These are the top ten universities in the United States with the best quality of life! The Princeton Review chose the colleges based on "Green Rating" scores from 60 to 99. It used data from a survey of school administrators asking them to report on their school’s sustainability-related policies, practices, and programs. Washington Monthly rate schools based on their contribution to the public good in three broad categories: Social Mobility (recruiting and graduating low-income students), Research (producing cutting-edge scholarship and PhDs), and Service (encouraging students to give something back to their country). They also offer their “Best Bang for the Buck” rankings — an exclusive list of schools that help non-wealthy students attain marketable degrees at affordable prices. Behind the success of every hitmaker are the lawyers, fielding the deliberations, deals and disputes that are a constant part of today's music business. The Eduniversal Best Masters Ranking is a true assessment of global masters and MBA programs designed to help prospective students determine the best choice for their graduate studies. This is the only ranking that evaluates individual masters programs worldwide in 30 fields of study. Each year this ranking evaluates more than 12,000 postgraduate programs. The final ranking is determined through a global survey of 5,000 international recruiters, 800,000 students and over 10,000 representatives from 1,000 academic institutions in 154 countries. Business Insider is an American business, celebrity and technology news website launched in February 2009 and based in New York City. Our independent UK University League Tables & Rankings 2017 give you a good guide to which university is best for you, overall and by subject. We work closely with all main UK Universities, HESA and UCAS. The latest in law school news, trends, rankings and study advice. We feature LL.M., graduate law, study abroad and Master of Laws programs. The Academic Ranking of World Universities (ARWU) was first published in June 2003 by the Center for World-Class Universities (CWCU), Graduate School of Education (formerly the Institute of Higher Education) of Shanghai Jiao Tong University, China, and updated on an annual basis. ARWU uses six objective indicators to rank world universities, including the number of alumni and staff winning Nobel Prizes and Fields Medals, number of highly cited researchers selected by Thomson Reuters, number of articles published in journals of Nature and Science, number of articles indexed in Science Citation Index - Expanded and Social Sciences Citation Index, and per capita performance of a university. More than 1200 universities are actually ranked by ARWU every year and the best 500 are published. A guide to help you prepare for your paralegal career. Best Choice Schools has grown to become one of the leading free websites for helping college students and career changers in making one of the life’s most overwhelming decisions. We have compiled comprehensive resources to narrow down the list of available on-campus and online colleges into those that are the best choice for each student’s unique concerns. Within our website, you will find rankings and state listings by major of the highest quality degree programs based on your own criteria for success. Here you can also discover interesting featured articles, scholarships for financial aid, information about career opportunities, and answers to your pressing questions about choosing the best school and degree program. We are hopeful that our college resources will provide you with the guidance needed to make well-informed decisions as you embark on a successful journey into higher education. At OutstandingColleges.com we are passionate about providing people with useful information to help them make the right decision when selecting what school to go to. The team we have assembled will keep you up to speed on any changes in the world of college rankings and financial aid. Best College Reviews’ yearly rankings are a wide-ranging look into some of the most popular online degree tracks and programs. From general education, business, computer science, medical fields, to social work, we’ve got you covered with rankings and commentary on the top online programs. All colleges included in our rankings are accredited, and all of our rankings are compiled by taking a comprehensive look at all the programs in a given field, and narrowing them down to the very best. With an emphasis on affordability, flexibility, and academic quality, our rankings often strike a middle ground with something to offer a variety of types of students, from those seeking to complete a degree while working full-time, to students looking for the most prestigious program they can complete from home. The Hollywood Reporter is a multi-platform American media brand founded in 1930. Students interested in pursuing a legal career can find a wide range of options among the law schools accredited fully by the American Bar Association. U.S. News factors in data on reputation, LSAT scores, job placement success and more when ranking the top law schools. The Recorder’s readers have voted — they have told us which legal services providers are the best, based on their own experiences. Welcome to the eighth annual issue of The Recorder’s Best. The Best provides a list of the legal services and solutions that The Recorder’s readers have rated highly across multiple categories. This year, we are providing more context for the voting by including many of the comments that our readers submitted with their ballots. The Princeton Review puts out an annual ranking of U.S. law schools, measuring them in several different categories, such as best career prospects, best classroom experience and even most conservative students. While these rankings give an accurate indication of a law school’s overall quality, they do not indicate the quality of LL.M. programs specifically. Here is the The Times 2015 Good University Guide for UK Law Schools. This ranking comes from the QS World University Rankings by Subject 2013/14. Social life & LLM When the time comes to choose their LLM, many students consider the course quality, career support or financial aid - but not only. Social life is also one of the most important aspects of your year abroad! With votes from more than 60,000 students, Graduate Programs ranked the most social law schools in the United States. “Social life” is defined as how easy it is for students to meet people, make friends, or date. Earlier this month, Forbes published a ranking of the law schools whose graduates made the highest starting salaries. If you thought the list was a bit weird, you were actually right; it turned out that the data they used (coming from Payscale.com) was flawed. There were several inaccuracies in the numbers, and the University of Pennsylvania was mistakenly omitted in the top tier. Below is the new and improved ranking with salary data coming directly from law schools. The figures are for students who graduated in 2013, unless specified otherwise. The National Law Journal (NLJ) released the rankings of the Go-To law schools in Februrary. These are the schools that send the highest percentage of new graduates to the biggest 250 law firms. Columbia Law School reaches the 1st place, a position that had been previously held by the University of Pennsylvania for the last 2 years. It is interesting to see that Yale University, which is ranked N°1 by US News & World Report, is only noted at the 13th position. Perhaps that’s because many Yale graduates are busy clerking it up for federal judges after graduation. As excpected, tuitions fees are very high in the top 50. Annual tuition in the first 9 law schools exceeds $50,000. The less expensive one is Brigham Young University (41st place), where one year of law school learning costs less than $11,000! 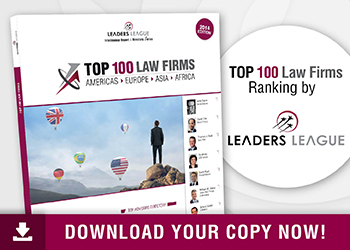 In the Top 3 of this ranking, we can find the prestigious law schools of Oxford, LSE and Cambridge. This ranking is from the Guardian. The Guardian takes into account reliable information such as the percentage of students satisfied with courses, teaching or feedback. The unemployment is also reported with a special criteria based on the percentage of students who find a career in law after 6 months. As you can see, some universities are on the same level. This ranking is divided into two part; the best common law schools and the best civil law schools. In these two rankings, the prestigious law school of McGill in Montréal can be seen. This ranking is from Maclean's, a reliable Canadian weekly news magazine. For full rankings or further information about the Best Law Schools Rankings Methodology, please refer to this link.